Step 1. Bent or bulged rifle barrel (1). 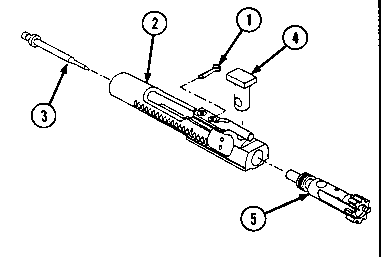 Replace rifle barrel assembly (1 ). Align barrel and upper receiver (p 3-33). Step 3. Corroded front (2) or rear (3) sights. Disassemble, . clean, . and lubricate. Replace automatic sear assembly (1). Step 2. Faulty selector lever (3). Replace selector lever (3). Step 3. Short recoil.